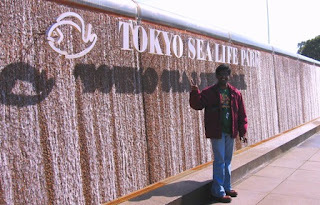 It’s kind of dream ever since I landed in Tokyo to visit Tokyo Sea Life park. Fortunately I could make it atleast in the last weekend here. The donut shaped structure that is located on the shore of Tokyo bay. This aquarium is actually located inside Kasai Rinkai Koen, I could say this is the largest Aquarium in Japan. 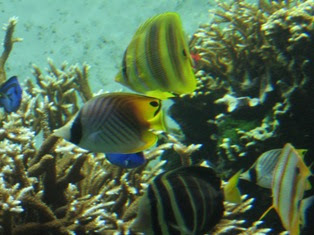 The aquarium hosts many ocean animals like hammer head sharks, fishes and penguins. I can say this is a well organized aquarium, I felt much more than expected inside the aquarium. You can see in the photo below, I’m standing in front of the bluefin tuna fishes that were kept in a tallest tank in this setup. This place is kids paradise and travelers underwater dream. Huge glass walls, behind the glass wall you can see all sort of sea life. 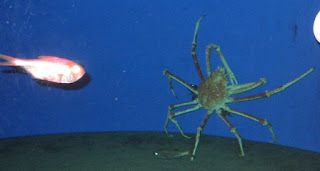 The Giant crab (nearly 3 ft. in size) is most attractive; I never imagined such a big crab existed before. The Jelly fish, Leafy sea-dragon and Nemo are crowd grabbers too. I could manage to take many pictures even in the dark environment. The Nemo fish section is another most wanted environment for the kids; I guess it could be due the popularity given by the cartoon movie “Finding Nemo”. Actually the flash photography is prohibited; hence I had real difficult time in getting the pictures. 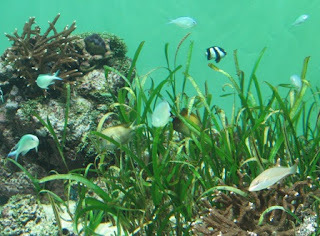 Seeing live star fishes, Squids and multi color fishes are life time chance for me. 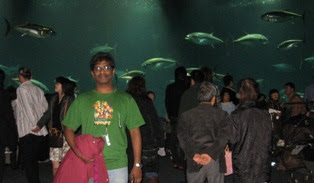 It would have been even more interesting if the aquarium also organize to host seals and dolphins. This is one minus point to this aquarium. I almost took 3 hours to complete the round. There are guided shows in every section of the aquarium in a specific time. While entering at the aquarium we can take the English information sheet for browsing the park. It will cost 800 for adult to enter in to this aquarium; I felt it is most reasonable for this kind of attraction. 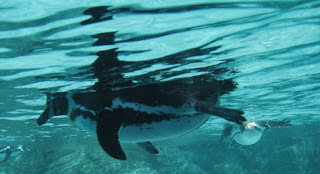 The aquarium not only hosts fishes but the ocean bird penguins. Its beautiful seeing them underwater. They fly under the water with their wings. 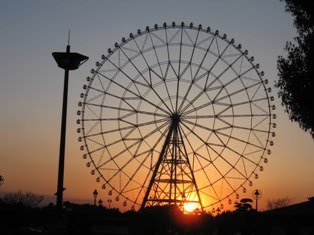 Later in this day, I came out of the Tokyo Sea Life Park and entered to the Kasai Rinkai Park for a short walk, the Ferris wheel in this park claims the largest one in Japan. 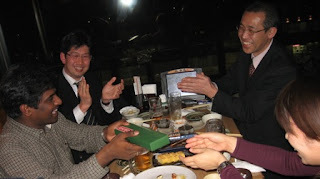 With this visit I’m closing my roaming schedule in Japan. 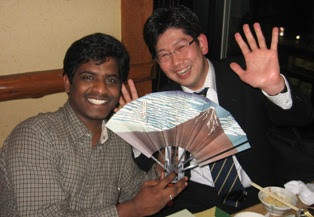 I hope to write atleast one more blog before leaving out of Japan. 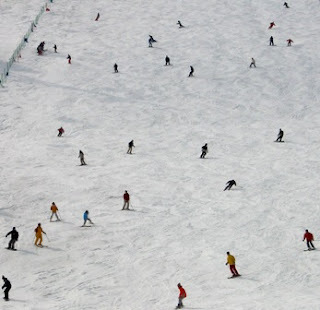 Naeba is famous ski spot to host world cup tournaments for skiing, hence it attracts more people. This town is filled with rental shops of Skii equipment. I had a chat with the local rental shop owner (Looked in the age of 80s), he stated almost 6 months in a year Naeba has snow. Later I also came to know he is a champion in the sport long time back. He also visited Himalayas for training Indians on snow surfing sports. 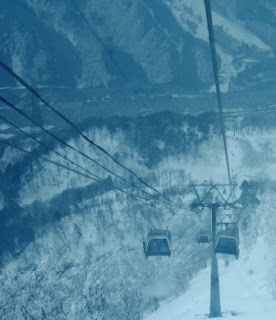 One can rent (daily) the ski equipment from 1000 yens to 3000 yens. 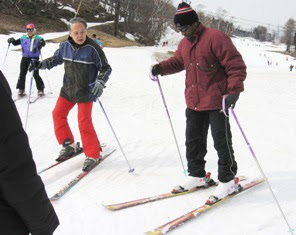 As I had no experience in snow sports, I had to spend nearly 2 hours to learn how to stand, start and stop the ski. Believe me I had felt carrying 10kg on my foot while wearing the ski equipments. The Mt. 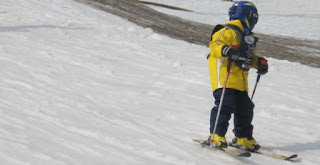 Naeba skiers aged from 3 years old to any upper age. Mt. 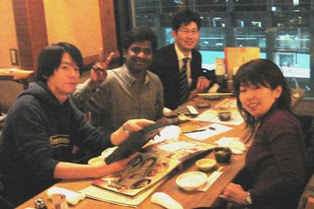 Naeba has good facilities for accommodation, food and health. 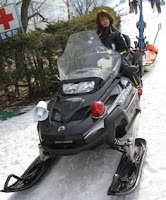 Often I could see the snow bikes of patrol people driving around. The food court near Naeba has Italian and Japanese food varieties. 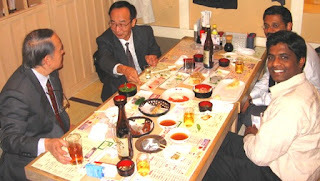 In fact inside the same food court there is an onsen (Japanese hot spring bath) for after ski experience. 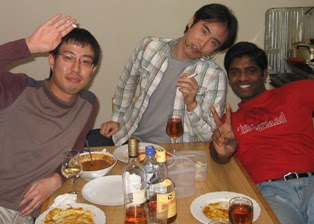 I had real fun having Japanese curry rice food, it was good. The Mountain was very steep and you can literally see the skiers every part of the mountain skating down towards. There are many cableway facilities that take the skiers to the top of several ski spots and they start skiing down from those areas. Since I had no experience I was not really confident on skiing from such a steep spots but I never missed to go on top of the Mt. Naeba, about 1789m summit I had traveled on the cable way, there was no words to express the feeling of my cable car experience. In simple words Fear, Thrill, Sad, Surprise and Glad are the various expressions I had during the cableway travel. While climbing upwards I had encountered many sceneries and landscapes of Niigata prefecture. I took the cable way bit late in the evening; hence I had only 3 mins to spend time on the summit. You know what I would have done with that short time span, clicked few photographs.